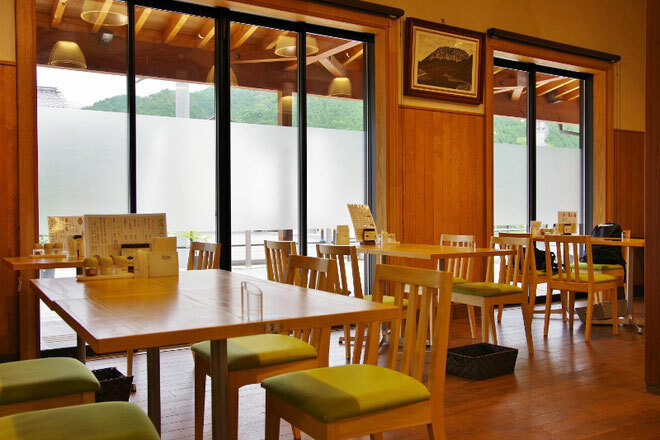 At Nanairogashi, located just adjacent to Okudaisen Roadside Station, you will find a diverse menu emphasizing choice ingredients from Tottori prefecture. 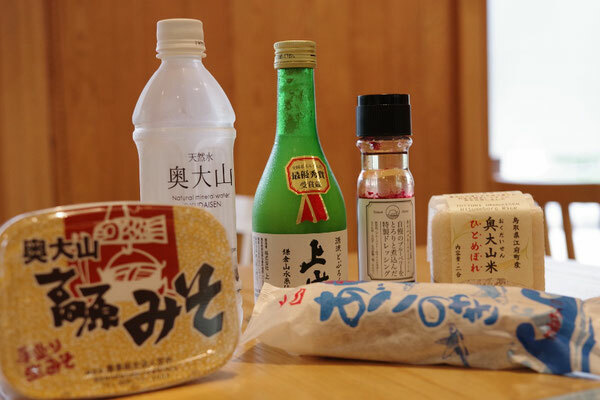 The meal sets use Koshihikari rice grown in Kofu-town and there are unlimited refills of pure, natural Okudaisen spring water. The most popular item is the Okudaisen Meal Set (1,080 yen) with Daisen Okowa and handmade soba noodles. 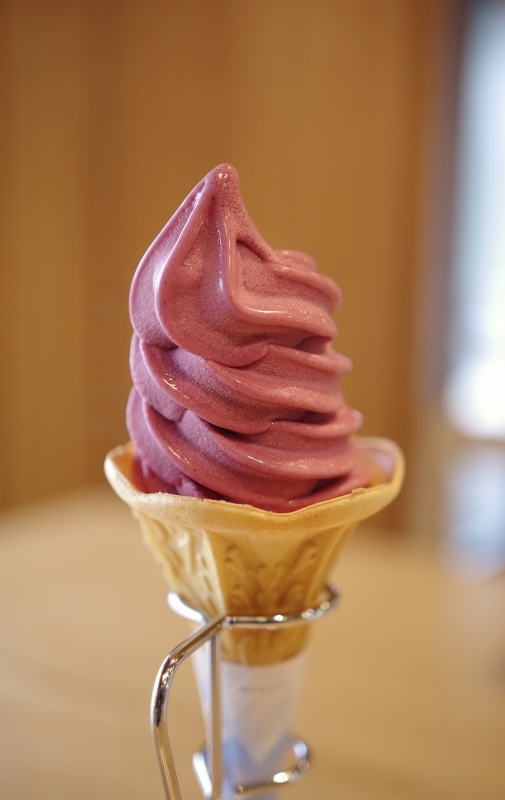 Daisen Okowa is a regional dish in Kofu-town, whose flavor has become a favorite mainstay for local residents. 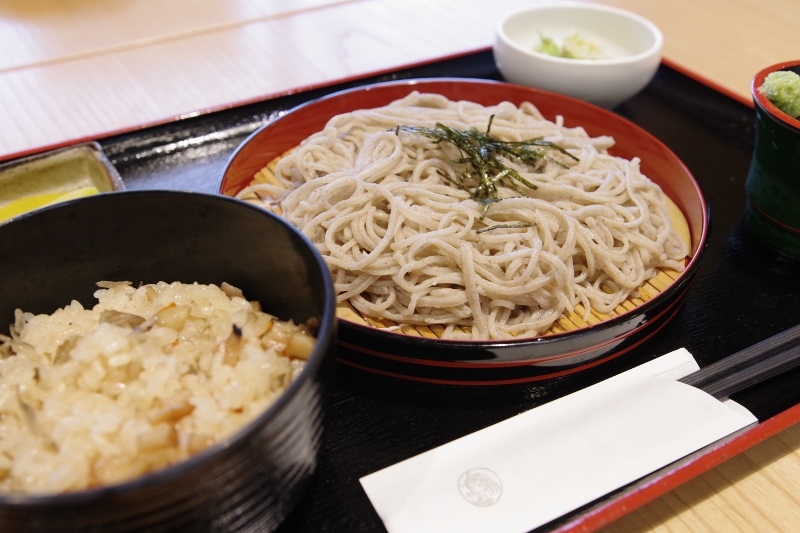 Special attention is paid to using local buckwheat flour for the handmade soba noodles. This flour offers a deliciously fragrant flavor. A recommendation for your sweet tooth is the Blueberry Ice Cream. Be sure to stop by if you are looking for local cuisine!